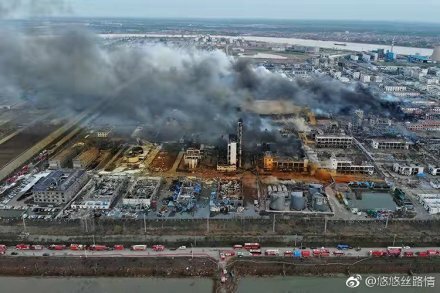 The enormous explosion at a chemical plant in Jiangsu’s Yancheng on March 21st has sent shockwaves through the country. 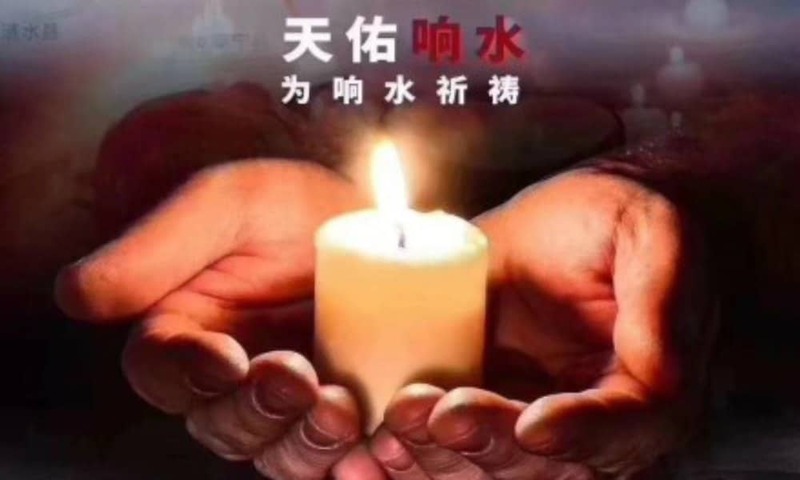 While state media are focusing on the efforts of rescue workers, Chinese social media users are mourning the lives lost and are searching for those still missing. 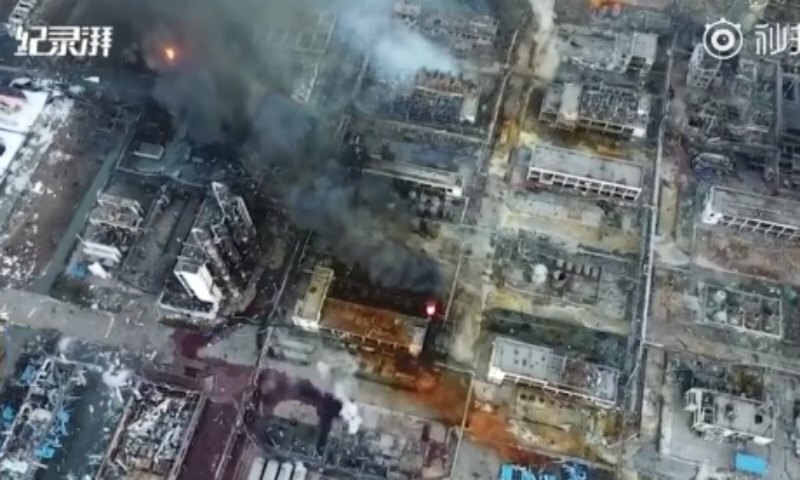 One day after a devastating explosion occurred at a chemical plant in Yancheng city in Jiangsu, at the Xiangshui Eco-chemical Industrial Zone, the number of confirmed casualties and injured has now gone up to 47 dead, 90 critically injured, with around 640 requiring hospital treatment (issued Friday 19.00 local time). 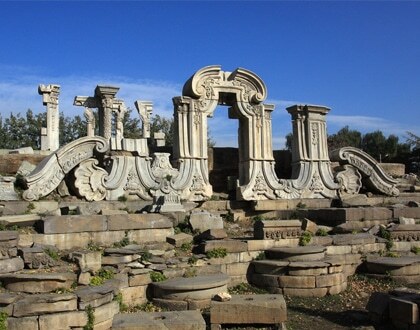 The explosion happened on Thursday around 14.48 local time at the Jiangsu Tianjiayi Chemical Plant (天嘉宜化工厂). 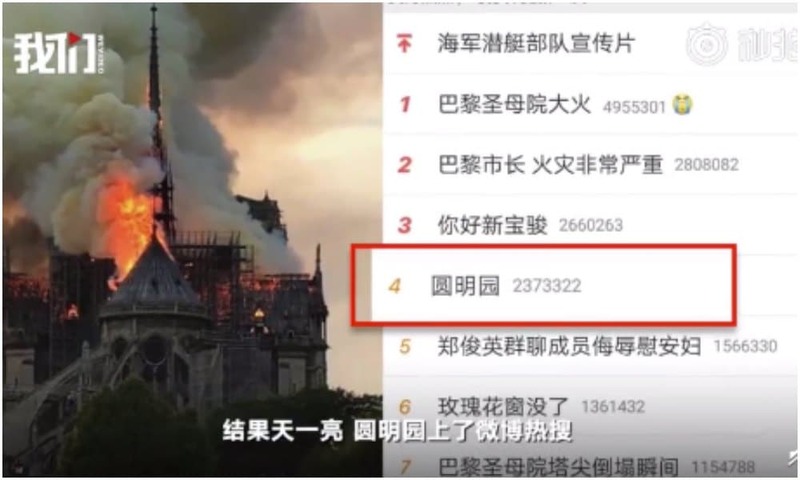 Images and videos of the explosion and its aftermath quickly spread on Weibo and other social media, showing the huge impact of the blast. 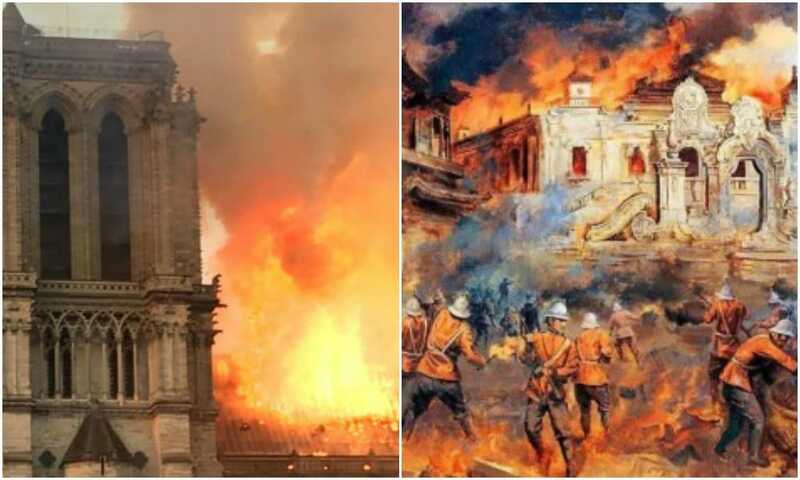 According to official sources on Weibo, a total of 930 firefighters worked side by side to control the fire. Trending photo on Friday: exhausted firefighters. 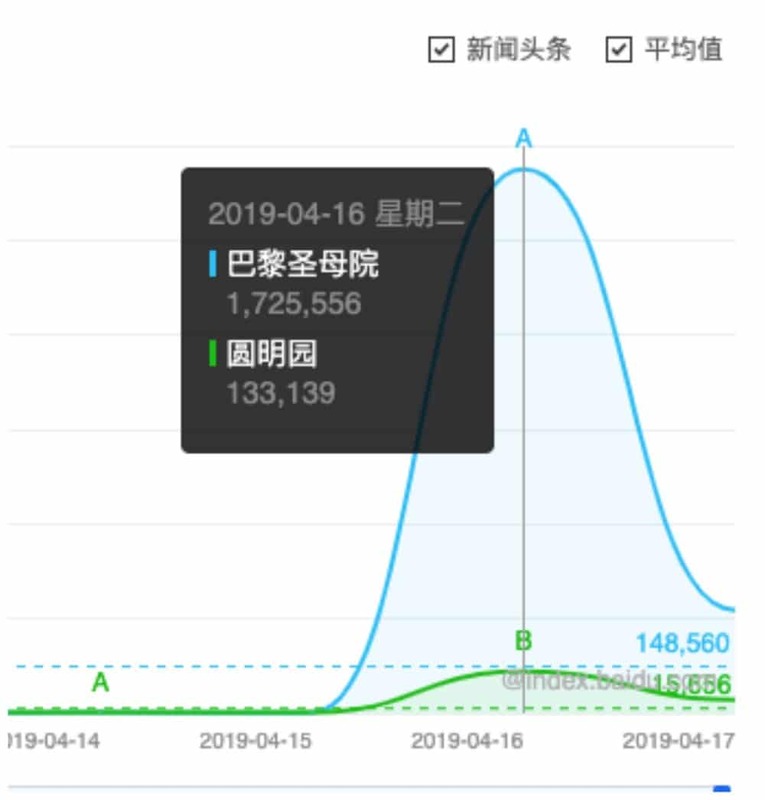 The hashtag “Lining Up to Donate Blood in Xiangshui” (#响水市民自发排队献血#) also attracted some attention on Weibo, with state media reporting that dozens of local residents have donated blood to help the injured. 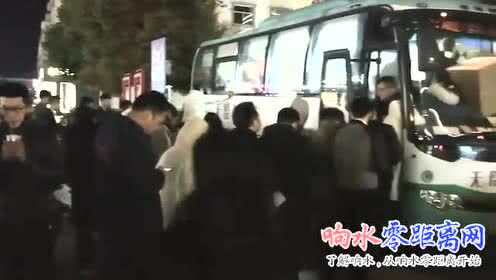 On Thursday night, there were long lines at a local mobile blood donation bus. 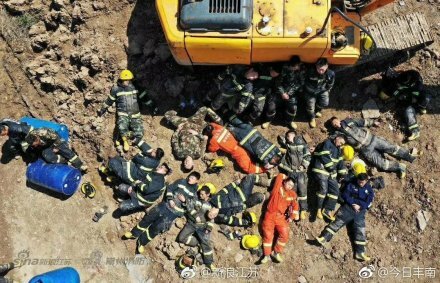 What is quite clear from the Chinese media reports on the incident and the social media posts coming from official (authorities) accounts, is that there is an emphasis on the number of people who are helping out, rather than a focus on the number of people that were killed: there are at least 930 firefighters, 192 fire trucks, 9 heavy construction machinery, 200 police officers, 88 people rescued, 3500 medical staff, 200 people donating blood, etc. – the number of people joining forces to provide assistance in the area is overwhelming. Meanwhile, there are desperate family members who are turning to social media in search of loved ones, posting their photos and asking people if they know anything about their whereabouts since the explosion. 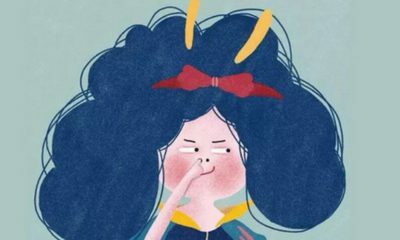 While dozens of Weibo users are airing their grievances on what happened, there are also more personal stories coming out. 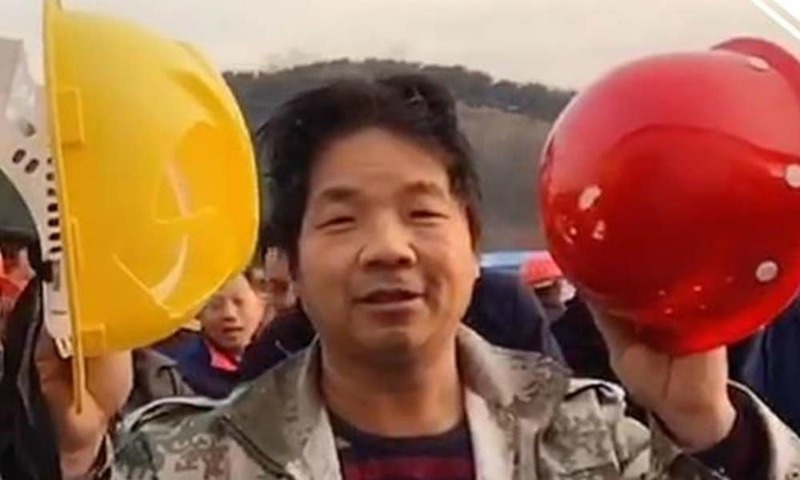 The wife of the local factory worker Jiang is devastated; her husband of four years, father of one son, celebrated his 30th birthday on Thursday. She received a message from her husband twenty minutes before the explosion occurred. He was one of the many people who lost their lives. 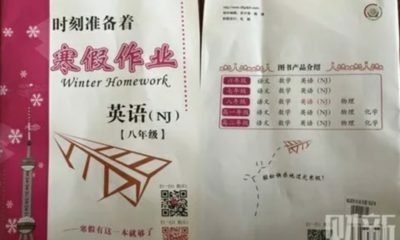 On Thursday, Chinese netizens complained that their posts about the Yancheng explosion were being taken offline, suggesting that information flows relating to the incident are being strictly controlled. 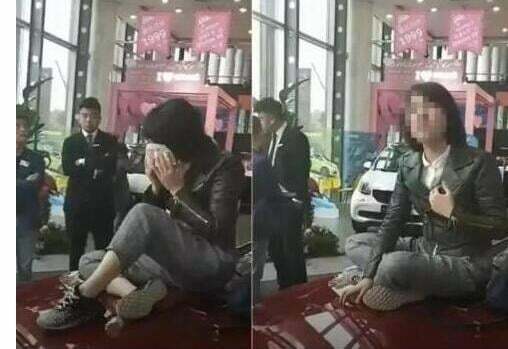 “This is just too big to conceal,” one commenter said. This is not the first time such an explosion makes headlines in China. In 2015, an enormous explosion at a petrol storage station in Tianjin killed 173 people and caused hundreds of people to be injured. 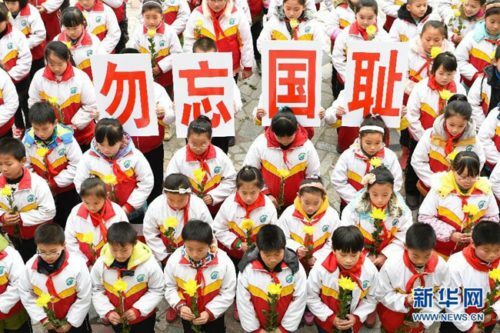 Two years ago, an explosion at a Shandong petrochemical plant left 13 people dead.